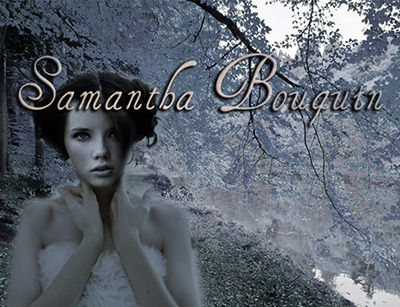 Samantha Bouquin grew up in a family of professional musicians and composers, so has flourished in the world of classical music since her youngest years. She has studied piano and violin througout her childhood and teen years. Her formal training and education culminated in a masters degree in piano performance from the Juilliard school of music in New York City. Her style of composition is highly influenced by the avant garde and has received commissions from orchestras and ensembles the world over. She currently plays as a session musician in the film music industry, and her compostion "tale for a sunken moon" can be heard on the Mythical Records compilation "Odyssey of rapture vol. 1" and "The Salem Witchcraft Trials" on "odyssey fo rapture vol 2"